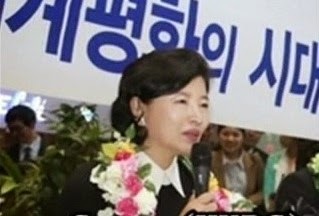 HWPL Held in South Korea with chief executives, religious leaders, and youth groups; women groups peace leaders more than 2,000 people, and related organizations in total 200,000 people came from over 20 countries. "Congratulate ourselves, families all around the global village. but now religionists had have signed to a written agreement for peace to be united. I wanted to deliver this news. New world full of peace has now opened up!" Serious conflicts break out all around the world by religion. If there is a woe even a well known politician cannot handle, it is a religious issue. Since nature of religion is PEACE it has to be done. Heavenly Culture World Peace Restoration of Light, HWPL peace move by the chairman Lee had last quite a while ago. Since three years ago, religious leader Man Hee Lee has traveled the earth 17 times to visit politicians and religious leaders to plea an international law that can put an end to war. "No matter how much times people say that there is an answer to peace. if there is no one who wants to participate in, that is no use. 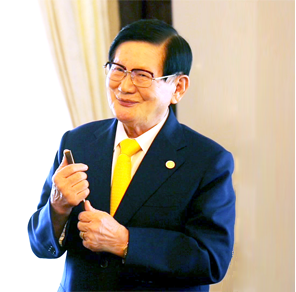 Therefore, HWPL of Religious leader Man Hee Lee had rotated the earth 12 times to meet people and to sow bountiful seeds of peace." Intl Women's Prayer Group, IWPG. "Due to the endless war, numerous mothers lost her children. However, none could possibly revive their lives. IWPG could not stand mothers' reaction losing her children. IWPG should step forward to save our children from war." 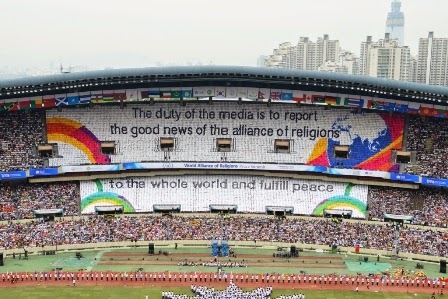 The duty of the media is to report the good news of the Alliance of Religions to the whole world and fulfill peace. "Now is the time when religious leaders should work for what is everlasting. Form the great integration of religious agreement; world peace and cease war." Representatives from 12 religions Signed to the agreement. Followed by former, past presidents, association representatives from various nations, and devotees from the religious world, etc. In total, 2,000 people have joined the HWPL's peace movement by signing the written agreement of peace. September. 19th. 2014 World Peace Gate, Olympic Park in Seoul, south Korea. "We had made a promise to unite our religion. Every thought, mind and a single world should support peace." 650 youth groups political religious women youth leaders came from 139 countries, more than 3 hundred thousand. Peace is an urgent problem to youn adults. "What should we leave behind? 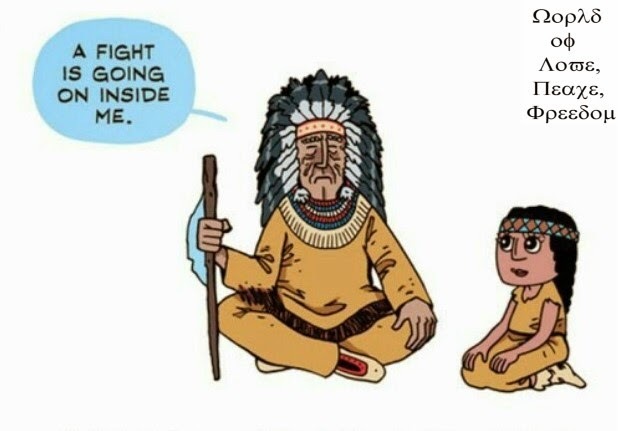 Or else war full of torture?" "Our sons and daughters are sacrificed though war without being able to bloom." "Peaceful world without war and sin is coming true." "God, the Creator conducted his way until now." Check out this video "Religious leader Man Hee Lee"